Simon & Schuster and Amazon have reached a multi-year agreement for the sale in the U.S. of print and digital books. The deal, which goes into effect Jan. 1, reportedly came after a months-long process. In an unusual move, Simon & Schuster President and CEO Carolyn Reidy announced the deal in an Oct. 20 letter to authors and agents: “It is not our usual practice to announce such agreements, but our publishers and I feel that the high level of public speculation over the status of these talks made it important to let you know about this positive development. Reidy told authors that the deal assures that Simon & Schuster books will be “continuously available for sale” through Amazon this holiday season and beyond. “I think it will serve to make Hachette more frustrated with their inability to make a deal knowing that one of their competitors has reached a deal,” Richard Pine, a partner in the New York literary agency InkWell Management, told the Wall Street Journal. The dispute with Hachette may be coming home to roost. For the July-September period, Amazon announced its worst quarterly loss since 2003: $437 million. Some observers believe publicity surrounding the battle with Hachette may have contributed to Amazon’s downturn. Jonathan Cahn’s The Mystery of the Shemitah (FrontLine/Charisma House) has charted for seven weeks on multiple best-seller lists—New York Times, USA Today, Publishers Weekly, CBA and Evangelical Christian Publishers Association (ECPA)—since its release Sept. 2. The new nonfiction title from the author of The Harbinger had 460,000 copies in print at press time. In Shemitah (SHMEE-tah), Cahn reveals a 3,000-year-old biblical prophecy for America’s future, building on the mysterious prophecy highlighted his first book, The Harbinger—a FrontLine title that has sold in excess of 1.8 million copies. “The Shemitah has the same trajectory as The Harbinger, even though it’s nonfiction,” said Woodley Auguste, vice president of marketing at Charisma Media. The “Shemitah,” or Sabbath year, is the seventh year of the seven-year agricultural cycle mandated by the Torah for the land of Israel. Cahn says understanding this pattern is essential for understanding the prophecies and mysteries of the Bible that are still applicable today. As of press time, Shemitah placed at No. 2 on the New York Times October Religion list only behind Oprah Winfrey’s What I Know for Sure and at No. 6 on the Nov. 2 Advice, How-To & Miscellaneous list. Additionally, Shemitah is at No. 51 on the USA Today Top 150 Books with No. 24 its best showing. It also ranks at No. 1 on the October ECPA best-sellers list ranking above Phil Robertson’s UnPHILtered and Sarah Young’s popular devotional Jesus Calling. On the CBA list issued in October, Shemitah sits at No. 5 with The Harbinger at No. 19. In addition, on Amazon’s list, Shemitah topped the Christian Prophecies best-sellers at press time. The list is updated hourly. Cahn’s first book placed on the New York Times list for more than 150 weeks. It also charted as an ECPA, Publishers Weekly, USA Today Top 150 Books, CBA and Parable best-seller. Not only has Cahn, a messianic rabbi and broadcaster, had success with his books, but also with his DVD documentary, The Harbinger Decoded (FrontLine/Charisma House), which has been syndicated by the Trinity Broadcasting Network and at press time was just shy of 100,000 copies sold. At Family Christian Stores, it was the No. 1 DVD in June. When his second book charted on several general-market and Christian-trade lists, including Barnes & Noble, Books-A-Million and Christian Book Distributors, sales triggered a reprint to meet market demand on the book's release date. 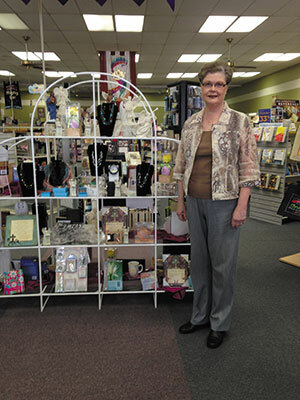 The Mardel Christian store chain has seen healthy sales of Cahn’s new book. A Parable Group store, Christian Publishers Outlet (CPO) in Springfield, Missouri, was the top seller of Shemitah in CBA independent stores at press time. Bruce Erdel, owner of the 8,000-square-foot store, said that Cahn was appearing periodically on The Jim Bakker Show in nearby Branson, drawing interest from the store’s customers. 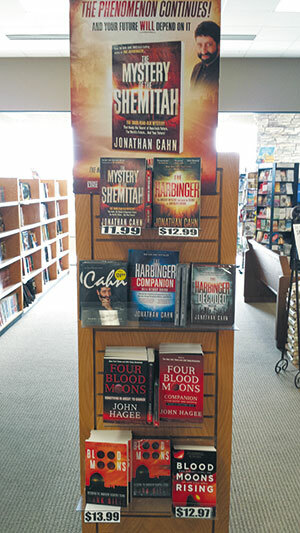 Using a poster from Charisma Media to draw attention, CPO created an endcap of Shemitah, Harbinger and similarly themed books and DVDs such as John Hagee’s The Four Blood Moons (Worthy Publishing); Cahn, a three-DVD set of the author’s teachings (WND Films); and The Harbinger Decoded DVD (Charisma House). With this emphasis, the store has sold big with Shemitah, but also has seen a resurgence of The Harbinger. Although television ministries offer Cahn items direct to viewers, the stores still play a significant role in sales. “The cool thing is that people, when they see things on TV and when they hear things on the radio, they think of me as a resource where they can get those things,” Erdel said. Erdel thinks the mystery of the prophetic is boosting sales. HarperCollins Christian Publishing (HCCP) has taken on Biblica's direct and trade sales business in the U.S. and Canada. 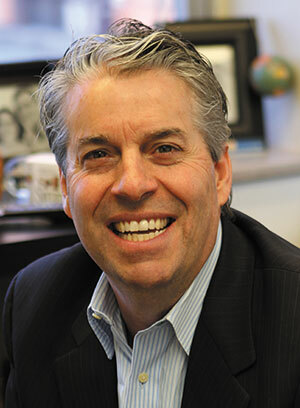 Biblica CEO Doug Lockhart also has made the move to HCCP as senior vice president of Bible marketing and outreach. Biblica is the copyright holder and worldwide publisher of the New International Version (NIV) Bible translation, and licenses its North American publishing rights to Zondervan. Under the agreement announced in early October, HCCP has assumed sales of Biblica’s low-cost outreach Bibles through Zondervan publishing. Biblica is refocusing on translating and publishing Bibles in the 100 most widely spoken languages and helping people to experience Scripture more deeply. Developed by a team led by linguist, missionary and author Dr. Brian Simmons, the new translation (thepassiontranslation.com) recaptures some of the “lost language” missing from translations that have not fully captured the emotional meanings and implications of Scripture. The new translation incorporates the ancient Aramaic scripture. The translation aims to add a spiritual dynamic by delving into the Aramaic texts along with the Greek to provide contemporary readers with an understanding of the emotion and nuance found in the original writings. “Words are containers for truth,” Simmons said. “Every generation needs a relevant, accurate translation that speaks to them. Our approach to translating Scripture includes an emphasis on the original emotive intent of the text. Simmons is the U.S. director for Harvest International Ministries. As a missionary, he and his wife, Candice, pioneered church plants in Central America. As a linguist, he co-translated the Kuna New Testament for the Paya-Kuna people of Panama. Worthy Publishing has named Pamela Clements vice president and associate publisher of the company’s newly launched imprint, Inspired. The 3-year-old company also has acquired major children’s brand Ideals and, with the transaction, access to licenses for VeggieTales with DreamWorks Animation and the Berenstain Bears with Warner Bros. The Inspired imprint will offer impulse-read, felt-need, inspirational, self-help and devotional titles from such authors as Laura Story, Stu Epperson, Margaret Feinberg and Drs. Les and Leslie Parrott. Clements said she was “thrilled” to join the Worthy team. Most recently associated publisher overseeing Christian Living and fiction with Abingdon Press, an imprint of The United Methodist Publishing House, Clements lost her post in late summer to the “reassessing and realigning” of Abingdon’s Christian Living and fiction programs, which were said to result because of the “rate of change and shifting structure in our industry and the resulting challenges faced by all religion publishers,” Abingdon President and Publisher Neil M. Alexander said. Inspired recently shipped its first titles, including Hope for the Caregiver by Peter Rosenberger, which was featured this month on NBC’s Today Show during the Kathie Lee and Hoda hour. 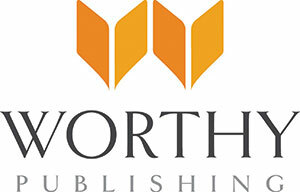 Worthy’s acquisition of the Ideals children’s book brand and product lines was announced Oct. 10. A 50-year-old children’s category-leader with offices in Nashville, Ideals was owned by Danbury, Connecticut-based Guideposts, which was founded by Norman Vincent Peale and publishes Guideposts and Ideals magazines. Ideals publishes 25 to 30 books each year, including picture books, board books, and novelty and sound books. The Ideals Christmas picture book The Sparkle Box won the 2014 Evangelical Christian Publishers Association Christian Book Award for children’s books. Holiday board books from Ideals regularly rank at the top of Nielsen BookScan charts each year. Not many authors have had more than 100 books published, but Joyce Meyer is one of those few. Her century title—God Is Not Mad at You: You Can Experience Real Love, Acceptance & Guilt-free Living (FaithWords)—came out in 2013, so with her 2014 titles, she inches above that distinctive mark. Meyer has been a foundational author for the FaithWords program since the house acquired her entire backlist and began contracting new books back in 2002. In total, FaithWords has sold more than 30 million copies of Meyer’s books in all formats. She typically does two trade books each year—in April and September—and a devotional book near the end of the year. Her devotionals alone have sold over 3 million copies, with the 2014 release titled The Power of Being Thankful: 365 Devotions for Discovering the Strength of Gratitude. Meyer sees Christian retailers as a vital part of her sales team. Her newest book, Good Health, Good Life: 12 Keys to Enjoying Physical & Spiritual Wellness, hits stores this month, just in time to help readers step into the New Year with a tool to help them set health goals. Good Health, Good Life is the second in a series of condensed, $10 books derived from earlier, best-selling titles by Meyer. Meyer’s first release in the smaller format is titled The Approval Fix: How to Break Free From People Pleasing (2014). Good Health, Good Life is derived from Meyer’s 2006 best-seller Look Great, Feel Great: 12 Keys to Enjoying a Healthy Life Now. The book offers space in each chapter for the reader to make notes to establish his or her needs and goals and how to work toward them. To introduce Meyer’s new books, FaithWords offers video footage for Christian retail websites, and the company put a major emphasis on flyer ad placement with key accounts and marketing groups for Meyer’s September release titled Living Courageously: You Can Face Anything, Just Do It Afraid. That new title, plus her Battlefield of the Mind: Winning the Battle in Your Mind and You Can Begin Again: No Matter What, It’s Never Too Late are top sellers in Christian retail stores, with Battlefield of the Mind consistently on best-seller lists. Meyer believes strongly in the power of the written word. “I live to write, and books are a wonderful way to teach the Word because they can go anywhere we can send them!" she said. She’s already preparing for the release of her April 2015 title Get Your Hopes Up! Expect Something Good to Happen to You Every Day, with another in September titled The Mind Connection, a follow-up to Battlefield of the Mind. FaithWords also is planning a third in the $10 book line titled Let God Fight Your Battles. Meyer will do a book tour for the first time in several years in spring 2015. Have you ever posted something on your Facebook page and felt like you were just talking to yourself? You eagerly open your page to see how many people responded to the most recent post and are left disappointed when you find no one has interacted. They haven’t liked, commented or shared. Now more than ever it’s crucial for brands to post meaningful content on their social-media profiles to stand out from the crowd. Consumers are busy, just like you, and are swirling around the Internet at lightning-fast speeds trying to connect with friends and family, get a movie recommendation, talk about their favorite singer on some reality show, make weekend plans and show pictures of their dogs/cats/children/gardens/meals/sunsets. And, with only on average about 3-5% of total Likes organic views of your posts, you need to be posting content that speaks to them so it grabs their attention, feels relatable and adds value to their busy lives. Here are seven Facebook post ideas (with examples) to help you stand out from the competition and increase engagement, exposure and sales. Giving your Facebook fans something special, something they cannot find anywhere else is one of the best ways to use social media and truly gives a reason for someone to follow you online. The key here is keeping it exclusive and only giving certain offers to your Facebook fans. This is a great example from Swagger Gifts who hosted a Flash Sale on Facebook.The company ran a limited-time sale that users could only access from Facebook, providing exclusivity and an easy way to track the success of the campaign. Here’s another great example by Lisa Lisa’s Gift Closet where she asks fans to present this photo at checkout to receive 20% off.This is a strong example because she used a photo, which has heavier weight according to Facebook’s algorithm and typically will be shown to more people. She made it “Today only,” which creates urgency, and is combining this offer with a popular theme that happens every Thursday on Facebook called “Throwback Thursday” (also known as #tbt). Another great way of showcasing new items to your Facebook community is by taking a picture of an in-store display like P. Graham Dunn did. This helps the customer “digitally window-shop” and not only gets to see what’s new, but also gets a look inside the store. Consumers also love knowing what’s hot. Showcase popular items by posting pictures and saying things like, “These are selling fast!” or “*Popular Item Alert* Get This Before They’re Gone!” or by posting “BACK BY DEMAND” in all capital letters with a photo of the item like Impressions Boutique & Gifts did. They wanted to make it clear these were so popular they sold out, and you better get yours today before they’re gone—again. Another way to showcase popular items is by creating Top 10 lists. If you could turn your list into a graphic, perhaps a collage or infographic, that will help it get more exposure in the Facebook newsfeed. Consider using the tools Canva.com or PicMonkey.com to help create graphics for Facebook. One of the best ways to boost engagement and get more people commenting and liking is through contests. This is a great example by Repurpose Boutique that branded a contest, calling it “Win-It-Wednesday.” The contest helps consumers remember when it is held, giving them the chance to mark their calendars and try to win next week. I also like how Repurpose Boutique created an image that featured the items you could win and then after the winner was announced, the store put her name on top of the image. This is a great way to spotlight the winner, and consumers typically enjoy being featured by their favorite stores and brands. Another way to feature fans is through a “Fan of the Week” type of post, where you select fans and feature them on your page, giving them something special like a $10 gift certificate. Here’s another example by P. Graham Dunn, which took a picture of the winner while he was in the store picking up his prize. Posting pictures of people like staff and customers is a great way to humanize your brand, and this type of photo is typically interacted (likes/comments) more than pictures that do not include a person. Side note: If you’re going to run a contest on your Facebook page, make sure you have a strategy. Are you trying to build email addresses, store and/or online exposure? How long will you run the contest? How will you notify possible participants? How will you promote the contest? When you have in place a strategy with clear goals, you’ll have a more successful contest. When a customer tells you about a great experience he or she had in your store, share it with your online community. Peer recommendations and word-of-mouth marketing is the No. 1 way consumers decide where to shop. This is a great example from The Gift Box. The top two types of content that go viral, meaning they get a lot of shares and interaction, are inspirational and funny photos and videos. These types of posts not only build online exposure, but they also help us connect with our audience in a more personal way. This example from Parable Christian Store of St. Joseph in St. Joseph, Michigan, is a classic example of taking an image that has a saying that relates to the store’s perfect customer, inspiring Facebook users or possibly even making them laugh because they can relate. This is also a great example because store owner Lorraine Valk added her name at the end of the post, which gives a personal tone to the post, making it more relatable and easier to get to know Lorraine and the store. Here’s another example from The Bookery Parable Christian Store in Mansfield, Ohio, which posted a simple graphic with a powerful message. And here’s a great example of adding some humor to a post by Upstart Crow Bookstore & Coffee House in San Diego. Last but certainly not least, you must post tips and helpful resources on your Facebook page. Remember, consumers are busy, and you need to offer them something in exchange for their time. One way to add value is through sharing expert tips and advice. Do you have great taste? Do you have an eye for fashion or decorating? Do you have the best recipe for certain holidays or gift-giving advice for men or parents? Here’s an action item: Take the next 15 minutes and write down 10 expert ideas you could share with your Facebook community. Then, look at those tips and see how you could turn them into a graphic. If you’re not a graphic designer, you can use Canva.com to create a visually appealing image. Here’s an example from Miss Cayce’s Christmas Store. The Midland, Texas, store used its Facebook page to promote a blog post titled “How to Theme Your Christmas Tree,” which gave expert tips and design ideas. Crystal Vilkaitis is the owner of Crystal Media, a company dedicated to helping retailers integrate proven social media, mobile and email marketing strategies into their businesses. Vilkaitis started Social Edge, an online membership group exclusive to retailers looking to gain an edge over the competition using social media. For more information, visit crystalmedia.co or crystalmedia.co/socialedge. Christian retail stores and local churches often team up this time of year for an effective ministry opportunity, Vacation Bible School (VBS). In this roundtable discussion, we talked with four publisher representatives to learn more about their 2015 programs and their hopes for the kids—and adults—who participate in them. CHRISTIAN RETAILING (CR): What are you most excited about with your 2015 VBS program(s)? FRAHM: We are very excited to release a brand-new format for 2015 Vacation Bible School. It’s called Cross Culture VBS: Thailand Trek. It’s everything you love about Group VBS, plus a fresh way to ignite kids’ faith. At Thailand Trek, you’ll meet four kids from Thailand, on video, who love Jesus. You’ll explore everyday life through games, snacks and cultural experiences and help kids see the big picture—an exciting world of faith beyond their own backyard. We can’t wait to watch kids grow closer to Jesus in 2015 at Thailand Trek VBS next summer! HORNER: I am always most excited about how many kids will hear about a relationship with Jesus for the first time because MEGA Sports Camp draws kids who don’t normally attend church. McGRAW: We are super excited about kids getting to know Jesus through the whole Bible. Kids will learn about God’s plan of salvation through Jesus, beginning in Genesis, moving through the New Testament account of the early church to today’s church. They will discover that through Jesus they, too, are a part of God’s plan. And if that wasn’t exciting enough, we’ve got an amazing and exciting theme. Through fun science-object lessons, kids will have a blast—in some cases literally—as they discover that when God created the world, He created the principles that control how the world works. CR: How can retailers encourage their church customers to purchase your VBS curriculum? FRAHM: Group VBS really shines as a leader in creating experiences for children, youth and volunteers during VBS that will help them grow in relationship with each other and with Jesus. We focus on single Bible Point learning each day, and it is reinforced in every station the kids visit at VBS. When a child attends a Group VBS, you can expect they’ll have a blast, but you’ll be surprised how quickly they remember the Bible Point and how they apply it to their daily life. Retailers can ensure that churches will experience life change in their kids and volunteers through a Group VBS. Another aspect that we introduced last year, KidVid Cinema, was a big hit with kids across the country. We’ll have all new topics and relevant experiences where kids will again dive into “real life” issues that they face through engaging stories of other kids just like them. HORNER: MEGA Sports Camp is unique in that about 50% of the time is spent in sports training, and 50% is spent in small groups and children’s church-style rallies. Not only has MEGA Sports Camp been a four-time winner of Outreach’s children’s resource of the year, but our customers tell us why. According to surveys, about half of the kids who attend are guests of the host church, and about 20% of the kids ask Jesus into their hearts and lives. Plus it’s a great way to get men and youth groups more involved in children’s ministry. They love the sports aspect! McGRAW: Gospel Light’s SonSpark Labs is the most flexible program out there. We’re working hard every year to find better ways to communicate with churches and provide a curriculum that is simple to use and adaptable to any situation. One way we’ve done that is with our Reproducible Power Pack. In this pack, churches have the power of reproducibility at their fingertips. They can print, email or post on their secure site leaders’ guides, student pages, music files—even our videos! It’s truly never been easier to get material into the hands of your volunteers. We’ve also added a Weekend Adventure VBS to go along with SonSpark Labs. It has all the fun and excitement of SonSpark Labs condensed down to three sessions in two days. This is a great alternative for any church and makes the program adaptable to any situation. CR: What’s different about your VBS curriculum for the coming year? FRAHM: Aside from creating our brand-new Cross Culture VBS, we have made some intuitive changes to the preschool area of Everest VBS. Preschoolers will now begin their day in Exploration Stations. This new station allows little ones to naturally gravitate to a fun hands-on activity that they enjoy—one of the stations is a newly designed Bible Activity Page—which helps them transition into a day of VBS. Preschoolers will also now end their day in Closing Circle Time instead of the larger Finale with elementary kids. We have tested these changes at the Everest field test, and preschool kids loved it! HORNER: A fun new feature for athletes is that this year’s theme, “MEGA Sports Camp Get Ready,” will have videos featuring a competitor who is getting ready for American Ninja Warrior, which is a sports-entertainment competition on TV. Also, the kit packaging and theme art are targeting the sports person who may not be attracted to a traditional VBS. We refocused on MEGA Sports Camp instead of theme art only because our customers want to invite kids to a sports camp primarily and then let the character-based theme come out in the large group rallies. McGRAW: We have reinvented our decorating resource into a theme guide that includes a Theme Center Guide with awesome hands-on science activities for kids. We’ve added some amazing resources that will make the job of decorating for your church a snap—wall murals, doorway covers, super-sized MEGA Decorating Pack, beakers and test tubes, and so much more! Our director’s Planning Guide now includes a Week-by-Week Checklist of action items for the director. Never before has a director’s job been so clearly laid out. We believe the whole church family can be involved with VBS, so we’ve had youth and adult Bible studies created to correspond to SonSpark Labs VBS. These guides can be used as part of a parent’s Bible study, volunteer Bible study or an afternoon Bible study for youth helpers. And our very popular ShowTime! Assemblies DVD is now included in the Deluxe Kit. NUMMELA: CPH’s Camp Discovery brings a number of exciting updates. First, VBS leaders, parents and children will be able to engage in God’s Word with the Bible Challenge, an online experience designed just for Camp Discovery to provide hours of sharing and exploring God’s plan in His Word. Also new in 2015 is The Science Behind It. In this new feature, children and parents are equipped to actively experience science demonstrations and fun activities that explore the wonder of God’s creation. A big focus for CPH continues to be making VBS easy to use and organize. Knowing that planning and executing a smooth VBS is a huge job for leaders and volunteers, we intentionally focused on offering an expanded and comprehensive Volunteer Training section. Camp Discovery has a host of helps for leaders and volunteers, providing inspiration, tips and tricks, videos and instructions, all with the volunteer in mind and all online. CR: What kind of support is your company offering for VBS 2015? FRAHM: We will continue to offer a free online tool called VBS PRO to Promote, Register and Organize your VBS. We will also provide training sessions across the country called FunShops happening at local churches, as well as VBS Previews with many retailers across the country. Our website and trade partner’s site is also stocked full of images, song and video samples, order forms and many other extras. HORNER: The megasportscamp.com website as well as Facebook and Pinterest are great support for those who host a MEGA Sports Camp. McGRAW: This year, we have more decorating resources than ever before. In addition to our popular wall murals (we have two), we have included a Jumbo Lab Backdrop, which can be used to decorate the assembly room. We also have the MEGA Decorating Pack, which has supersized graphics that can be cut out and, in some cases, taped together to form 4- to 6-foot graphics! And we can’t forget the Reproducible Power Pack, youth and adult guides, and tons of fun theme-related items like Fiber-Optic Lab Lamps and SonSpark Lab Glasses! NUMMELA: For online support, we’ve redesigned the Concordia VBSMate online-registration tool for 2015’s Camp Discovery. This handy, online tool provides a user-friendly way to track and organize volunteers and registrations. We want to equip VBS leaders to have access to their specific information and be able to manage their team, whether from the comfort of a laptop or the ease of a tablet. CR: How are you using all that the Web has to offer to enhance your VBS programs? FRAHM: We have a robust online network of VBS directors with Group VBS Facebook, Group VBS Pinterest page and Group VBS forums. We encourage VBS directors and volunteers to get online for support, to share ideas and network with thousands of churches across the country. Our website, group.com/vbs, also has Bible content, music clips, video clips and much more for directors to quickly access information and dive into our programs. One other item of note from a digital perspective is that we have been offering a phone/tablet application for a few years now and are excited to be offering it again with all-new tools, games and, most importantly, Bible-focused content related to our Everest program. In Thailand Trek, we’re launching an all-new, interactive student piece that kids will engage with via phone/tablet/PC both in VBS and in their home—it’s very cool! HORNER: Last year, we added music-training videos on the website to help volunteers access them on their own schedule. This year we are looking at ways to expand that with other helps for busy volunteers. McGRAW: In addition to our website, gospellightvbs.com, we have our VBS party site,myvbsparty.com. On myvbsparty.com, VBS directors from all over the world get to talk to each other—and us! It’s a great way to gather tips and suggestions and get questions answered. Another great thing about myvbsparty.com is our Anytime Anywhere Training. We have dozens of videos covering a variety of training needs. Since the videos are online, training can take place anytime, anywhere! VBS volunteers can watch from the comfort of their couches, or directors can show the videos at a training meeting—whatever works best for the church. And our online training is free! We also have active discussions on our Facebook page and lots of bonus ideas pinned to boards on Pinterest. NUMMELA: Camp Discovery will provide samples, planning documents and downloads through a dynamic, theme-rich website. CPH also supports dealers with an exclusive For Dealers Only site to get the tools they need at cph.org/tradevbs. CR: What do you want the participants to walk away with once they’ve completed your VBS program? FRAHM: Our prayer each year for our VBS programs is that, ultimately, they bring kids closer to Jesus. We intentionally design every moment of VBS to reinforce the daily Bible Point for kids. I was fortunate enough to follow up with a VBS director in New Jersey who had just finished Weird Animals VBS. The message of “Jesus loves you” hit home with their kids because often they do feel afraid or don’t understand or feel left out. This director heard from parents that it was exactly what their kids needed to hear before they were about to start a new school year. It’s stories like this that encourage us as we pray over our VBS programs and friends in ministry each year. HORNER: I hope they will be shocked at how many kids come—typically way more than a church expects—because sports is such a draw in most communities. If it’s like the MEGA Sports Camps I’ve been a part of, they will walk away thrilled to be a part of introducing kids to a relationship with Jesus. MEGA Sports Camp intentionally builds to that special moment when adult believers pray with kids who attend. For many volunteers, this is the first time they have prayed with someone when they asked Jesus into their heart and life. McGRAW: At Gospel Light, our mission is “To Know Christ and to Make Him Known.” This is our desire for children who attend SonSpark Labs, their families and all the wonderful people who give of themselves to volunteer at VBS. VBS is still the most effective outreach at any church. We believe that introducing kids to Jesus is the most important reason we create VBS materials. The one thing we would love everyone to walk away from VBS with is a deeper understanding, appreciation and love for Jesus. 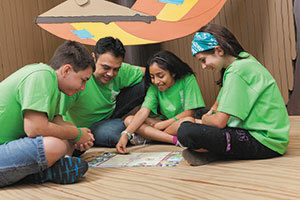 NUMMELA: It’s simple—we want Christ’s love and God’s plan to shine through our VBS. 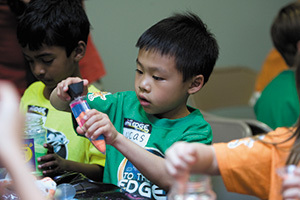 CPH intentionally crafts a VBS with purpose to help churches and families connect children to “the God stuff.” The lasting message of God’s love for everyone is at the heart of Camp Discovery. It is our prayer that the kids leave at the end of the week having had fun learning about God’s great, endless love for them. We hope that the churches hosting Camp Discovery have as much fun learning about God’s love for them as the kids do during the week. At the core, we all need to be reminded that God loves us. How are you building your VBS business? MAIN SCRIPTURES: “You are the light of the world!” (Matt. 5:14a, CEB). THEME/CONTENT: Utilizing African-American culture and history as a lens through which to teach biblical truths and spread the gospel of Jesus Christ, this program will help participants of all ages to hear about the importance of shining as children of God. Participants will discover the Bible as a light for life’s path; realize that each one has Star Power in Jesus Christ; have community fun shining like stars for God; and be encouraged to believe that Jesus is the light that shines in them. STARTER KIT CONTENTS: Director Manual; Preschool/Kindergarten Leader Guide; Younger Elementary Leader Guide; Older Elementary Leader Guide; Arts & Crafts Leader Guide; Heritage & Drama Leader Guide; Music & Movement Leader Guide; Recipe Guide; Outreach/Follow-up Leader Guide; Student Books; Music CD; Worship DVD; Nametags; Nametag Holder; Leader Certificate; Student Certificate; Student Books; and more. WHERE SOLD: Through retail stores and direct to churches/consumers. ADDITIONAL RESOURCES: Promotional materials; Leader Guides; Student Handbooks. MAIN SCRIPTURES: Theme verse: Prov. 9:10. Day 1: “Listen UP!” Be wise—have ears that hear, and do God’s Word! 1 Kings 3-4 (King Solomon) and various Proverbs. Day 2: “Check UP!” Be wise—have a heart that trusts in the Lord! Genesis 1-3; Romans 3, 5, 6, 10; Proverbs (Gospel Day). Day 3: “Build UP!” Be wise—have a tongue that speaks in a God-honoring way! Various proverbs (bullying, boasting, gossiping, complaining—will we choose death words or life words?). Day 4: “Wake UP!” Be wise—have hands that get to work! Prov. 6:6-11 and other proverbs. Day 5: “Wise UP!” Be wise—have feet that walk with the wise! 1 Kings 1:1-11 (King Solomon) and various proverbs. THEME/CONTENT: At Camp Kilimanjaro, kids will have an epic expedition through Proverbs! Every day kids are faced with choices—will they choose wisely or foolishly? As they safari up Mount Kilimanjaro, trekkers learn that true wisdom comes only from the one true, all-wise God, who wants us to be wise. And He’s filled the book of Proverbs with wise sayings for us to follow. As they study Proverbs, the hikers will learn to have ears that hear and do the Word of God, hearts that trust in the Lord, tongues that are tame, hands that get to work and feet that walk with the wise. STARTER KIT CONTENTS: Starter Kit: Director Guide; Assembly Guide; Craft Guide; Snack Guide; Game Guide; Junior Teacher Guide; Primary Teacher Guide; Pre-Primary Teacher Guide; Toddler Teacher Guide; 1 Student Guide for each age group; Promo & Recruitment DVD; Helper Handbook; Trekking Through Proverbs booklet; How Can I Become a Child of God? booklet; Trail Guide; sample tracts (4); Children’s Hunger Fund bracelet. SUPER STARTER KIT: Starter Kit plus daily overview posters (1 set); Memory Verse posters (1 set for each age group); teaching posters (1 set for each age group); promotional posters (22-by-17 inches); promo flier (8.5-by-11 inches); promo postcards (set of 5); bulletin insert; volunteer recruitment flier; door hanger; promo business cards; Leader Music Set (music CD, song motions DVD and resource DVD); sheet music; songbook; VBS Manager unlimited access; Growing Up in God’s Family booklet; Memory Verse Songs Leader Music Set (music CD, song motions DVD and resource DVD); name tag and lanyard; sticker samples; certificate of completion; staff appreciation certificate; visitor appreciation certificate; logo button; name button; iron-on patch; bookmark; sample wristband; photo frame; rotation signs (set of 5); T-shirt; water bottle holder; carabiner; pencil; click pen; design cards; logo stamps; latex balloon; and magnet puzzle. STARTER KIT PRICE: $99 (Starter); $189 (Super Starter). ADDITIONAL RESOURCES: Leader Guides; Student Guides; promotional materials; student T-shirts; leader T-shirts; leader vest; hat; music resources (contemporary or traditional); station signs; student resources; tubular bandannas; decorating posters; gospel booklets; decoration aids; and King James Version resources. PREVIOUS USERS SAY: “We just wanted to let you know that the science experiments were a huge hit with our kids! Thank you for putting out quality programs year after year” (Stephani K.); “This was our fifth year using Answers VBS. I don’t even look at the others because of your biblical content, affordability and the way it engages the children. It’s the best!” (L.M. ); “We completed our 7th VBS using AIG curriculum! We have never been disappointed! Always kid friendly, teacher friendly and guaranteed to be solid biblical teaching” (Marsha C.); “I also lead the music in our VBS and really loved it this year. I especially loved the inclusion of the memory verse songs!” (Shannon S.); “I think the curriculum/teaching is fantastic. Good solid deep truth. You treat children like they are smart (which they are! )” (Salina H.); “I love the biblically sound lessons! Thank you for not shying away from teaching the Word!” (Heather R.); “I love the encouragement included in the materials to stay in the Word and in prayer as we plan. We can do nothing without God, and that constant reminder is needed while in the hustle and bustle of planning” (Corie P.). NEW FOR 2015: Bible lesson scene setter; assembly scene setter; and theme verse banner. MAIN SCRIPTURES: Day 1: Meeting the Savior (Luke 19:1-10); Day 2: Praying like Jesus (Matt. 26:36-56); Day 3: Growing as Christians (Acts 2:41-47); Day 4: Learning to Praise (John 9:13-38); Day 5: Sharing with Others (John 4:5-42). THEME/CONTENT: Motto: Equipping for Life! Theme Verse: “Christ also suffered for us, leaving us an example, that ye should follow his steps” (1 Pet. 2:21). AIM: The student will learn that following Jesus leads to the good life—the genuine Christian life. Join Junior Ranger Randy and friends as they learn from Ranger Wrightway that following Jesus leads to the good life—the genuine Christian life. They will visit five locations surrounding Camp Courageous: Decision Divide—where you receive the Savior; Prayer Pond—where you talk to the Savior; Fellowship Forest—where you meet other followers of the Savior; Glorify Geyser—where you worship the Savior; and Witness Waterfall—where you tell others about the Savior. STARTER KIT CONTENTS: Director’s Plan Book; Activity Pages for Preschool, Kindergarten, Beginner, Primary and Junior; Student Books for Young Teen and Teen; Teacher Manuals and Visuals for Preschool-Teen; Adult Lessons; bulletin cover; doorknob hanger; theme stickers; attendance chart with stickers; publicity poster; bookmark; salvation tract; songbook; VBS music downloadable card; name tag; memory verse posters; postcard; Bible teaching posters; daily icon set; pencil; New Testament; lanyard; tote bag; appreciation certificate; achievement certificate; lesson and music DVD; vinyl banner; decoration door banners; bandanna with slider; photo frame; plastic nametag holder; publicity flyers; iron-on transfer; fun book; campsite guide with stickers; room decorations transparency book; binoculars; game book; craft book; bracelet; Junior Ranger pin; Park Ranger pin; Live-It! cards; nylon drawstring backpack; carabiner (with flashlight, compass, whistle); buttons; large VBS tote; skits book; Junior Ranger patch; Park Ranger patch; T-shirt (Adult XL). WHERE SOLD: Through retail stores and direct to churches and consumers. NEW FOR 2015: Decoration door banners; bandanna with slider; binoculars; bracelet; Junior Ranger pin; Park Ranger pin; carabiner (with flashlight, compass, whistle); buttons; large VBS tote; Junior Ranger patch; and Park Ranger patch. MAIN SCRIPTURES: “I have fought the good fight, I have finished the race, I have kept the faith. Now there is in store for me the crown of righteousness, which the Lord, the righteous Judge, will award to me on that day—and not only to me, but also to all who have longed for his appearing” (2 Tim. 4:7-8, NIV). THEME/CONTENT: Come run the most exciting race ever with Jeff Slaughter on this fun-filled VBS, which starts at 2 Timothy 4:7-8. Follow the race route on a Scripture-packed course through Bible studies, worship and drama, “craftivities,” games and more, all to encourage kids to finish the most important race of all—the pathway to salvation in Christ. STARTER KIT CONTENTS: Essential Kit: Ultimate Fun Run DVD only—all 6 VBS sing-a-long videos with full lyrics; 6 choreography teaching videos; 5 daily teaching videos. ULTIMATE KIT: VBS Fun Run Media Kit (3-disc set). Disc 1: Ultimate Fun Run DVD—all 6 VBS sing-a-long videos with full lyrics; 6 choreography teaching videos; 5 daily teaching videos. Disc 2: Digital Curriculum Disc (PDF)—Director’s Manual; Pre-School Curriculum; Bible Study Curriculum; Craftivity (fun craft ideas); Music & Drama; Games & Snacks; extras (parent take-homes, registration forms and more); Backyard Kids Club Edition (PDF). Disc 3: Media Files—QuickTime (.mov files) for sing-a-long videos; 6 choreography teaching videos; 5 daily teaching videos; ProPresenter files; PowerPoint files; text files; and worship slide backgrounds. STARTER KIT PRICE: $69.99 (Essential Kit); $189.99 (Ultimate Kit). ADDITIONAL RESOURCES: Daily theme posters; station and promotional posters; decorative wall poster; decorative posters; feather flag; 2-sided hanging Fun Run banner; T-shirts; name badges with lanyards; Spanish curriculum book; Spanish listening CD; Spanish sing-a-long DVD. Downloads are also available online at brentwoodbenson.com. MAIN SCRIPTURES: “In God we live, move, and exist” (Acts 17:28a, CEB). THEME/CONTENT: Churches will come alive with movement at the G-Force Adventure Park! VBS will be turned into an exciting skate park or a cool bike shop or the ultimate adventure park. This theme will teach kids ways to show God’s love by moving, acting, caring, following and sharing. STARTER KIT CONTENTS: Director Guide; Preschool/Kindergarten Leader Guide; Bible Storyteller Leader Guide; Music Leader Guide; Craft Leader Guide; Science Leader Guide; Assembly Leader Guide; Recreation Leader Guide; Decorating Leader Guide; Mission Leader Guide; Snack Leader Guide; Reflection Time Leader Guide; three age-level Student Books; complete music CD; Adventure DVD; music video DVD; decorating/publicity DVD; promotional item samples; craft samples; and more. ADDITIONAL RESOURCES: Promotional materials; T-shirts; music; puppets; stickers; crafts. PREVIOUS USERS SAY: “Through their Workshop of Wonders VBS 2014 curriculum, Cokesbury has tapped the pulse of what is happening in school classrooms nationwide” (Albert Simon, adjunct faculty, curriculum and instruction, Marshall University; VBS director, Rosemont, West Virginia). NEW FOR 2015: Availability of a Super Starter Kit. MAIN SCRIPTURES: “We love because He first loved us” (1 John 4:19). THEME/CONTENT: At Camp Discovery, kids learn that God has a plan for them right now, right where they are. Explore Bible truths that point to Jesus, our True North, and discover how He blesses us with courage and wisdom for our everyday journeys. God enables us to serve others through vocations. Through the unique gifts He has given us, we speak His words of love and serve our neighbors as His hands and feet. STARTER KIT CONTENTS: Super-Duper Directors’ Guide*; Program Overview DVD; Pastor’s Overview Guide; Early Childhood Guide*; Music Guide, plus song action videos*; Opening/Closing Guide, plus skit scripts*; Bible Challenge Guide*; Storytelling Guide*; Craft Guide; Snack Guide; Games Guide; Youth & Adult Resources Flyer; Mission Project Flyer; Free Online Registration Flyer; decorating posters (3 43-by-60-inch posters); Bible story posters (5 22-by-17-inch posters); memory verse posters (5 22-by-17-inch posters); tote bag. Samples include, publicity postcard; publicity poster; Early Childhood leaflet and stickers; Elementary leaflet; pass-along CD/DVD; collectibles; cross carabiner; team identifier; nametag; offering envelope; and craft sampler pack (*These items include additional CD and/or DVD content). ADDITIONAL RESOURCES: Puppet; T-shirts; iron-ons; decorating stand-ups; and wall murals. PREVIOUS USERS SAY: “I’ve had the [VBS] songs stuck in my head all day, but it’s a good stuck” (Hannah, age 10); “Two weeks after VBS and still putting things away! All worth it! Lots of wonderful feedback from parents regarding how much children had learned, using lesson leaflets to tell the Bible story to family, going home and opening their Bible to find the day’s verse, singing the songs to everyone who will listen, telling all about the Bible storytelling and being in the boat!! A mom wanted to know what the beautiful prayer is that her first-grader was trying to teach her—Luther’s Morning Prayer! (Surprised me!) Thanks, CPH, for great resources, meaningful and upbeat music and the active Bible storytelling! May the seeds of faith planted in kids’ hearts continue to grow through God’s amazing grace!” (Ruth); “Thank you for working together to produce a VBS program which needs to be recognized as another significant accomplishment for our church programs. The 2014 VBS Team should be renamed VBS trainers extraordinaire. Our VBS this year was the best, [our] pastor said, in at least 12 or 13 years or so. We asked the students at our Closing Program what we should thank you folks for in a letter we were going to write. Slowly answers came: the music (this was repeated time and time again), crafts, Bible stories—every area was mentioned. Then one little guy said, ‘Just tell them everything was the best!’ Our team of leaders couldn’t say it better. We genuinely loved working with our 2014 VBS. Your prayers for us, your telephone call in the middle of our session, those personal touches were heartwarming and, no doubt, added to our gift of success. You helped us touch the future of our Lutheran church. Thank you. In a world full of pop culture, bad language and faulty guidance, your team helped us shine the light of Jesus on the precious faces of each child enrolled in our VBS 2014. We will, no doubt, be singing ‘Gangway to Galilee’ for months to come” (Holy Cross Lutheran Church, Scottsdale, Arizona). MAIN SCRIPTURES: Gen. 1:1-2:4a; Gen. 2:4b-25; Luke 2:1-20; John 4:1-42; Rev. 21:9-22:5. THEME/CONTENT: It’s time for the annual Vargas family vacation! Explore the Blue Waters Aquarium like never before with Michael, Paula and Mark. With the help of new friends Raymond and Mr. Edwards, the siblings dive into an undersea paradise where they learn firsthand that God is the Creator of all that we are and the Giver of everything that we have. Put on your snorkel and immerse yourself alongside them in five Bible stories that each point to His ultimate gift, salvation made possible through Jesus Christ. STARTER KIT CONTENTS: Fully reproducible Teacher’s Guide (lesson plans for all age levels, lyrics and music for eight original songs in Spanish and English, invitations, flyers, attendance certificates, cut-outs, adult Bible studies, closing program); two sets of five color posters for each day’s Bible story; student worksheet samples for the three levels; one full-color promotional poster; multimedia CD (songs, accompaniment tracks, story narrations only in Spanish and PowerPoints). STARTER KIT PRICE: $54.99, Spanish-only Leader’s Pack; $59.99 Bilingual (Spanish/English) Leader’s Pack. ADDITIONAL RESOURCES: Student worksheets; Jesus-centered crafts; and extra promotional posters. NEW FOR 2015: Student worksheets sold individually instead of in 5-packs. THEME/CONTENT: At the amazing SonSpark Labs, children will explore God’s life-changing plan as they find out the answers to life’s most important questions. They will discover that God loves them and that through Jesus they can be members of God’s family and personally experience God’s plan for each of us—GP4U=J (God’s Plan 4U=Jesus)! Session 1: The Creation Formulation (story of creation); Session 2: The Sin Separation (sin enters the world); Session 3: The Personification Revelation (Jesus performs miracles); Session 4: The Salvation Solution (Jesus’ death and resurrection): Session 5: The Infinite Implementation (the early church in Acts). STARTER KIT CONTENTS: Deluxe Kit includes everything a director needs for VBS and now has the ShowTime! Assemblies DVD. The Deluxe Kit includes Truth Lab Bible Stories (Primary); Truth Lab Bible Stories (Middler); Truth Lab Bible Stories (Preteen); Sparky’s Lab Leader’s Guide; Lab Journal Grades 3-4 Sample; Momentum Games; Edible Experiments Snack Guide; MasterMind Crafts; Lab Décor & More Theme Guide; Bible Teaching Poster Pack; Sparky’s Lab posters and props; decorating poster pack; Director’s Planning Guide with CD; Music & More reproducible CD; preview DVD; ShowTime! Assemblies DVD; complete set of Connection Gears; director’s sample pack. ADDITIONAL RESOURCES: Reproducible Power Pack, which features a powerhouse of digital content onto one USB flash drive for computer and select tablets. There are many resources to print and/or email to VBS team members and families. PREVIOUS USERS SAY: “I appreciate that your company provides so many ideas that work for all age levels and VBS budgets. Thank you.” (Bill Narwold); “It’s easy to use, always has the gospel message and has the BEST music! !” (Callie Head, St. Paul’s Church, Florida); “The theme within this program was highly motivating and provided fun and excitement for all participants, including the adults. It had fantastic ideas, and the content was layered in a topic that kids found interesting and magnetic. The songs were catchy and directly dovetailed with the Bible story and verses … an excellent way to engage long-term memory. This program allowed for a lot of creativity and innovation!” (Jan Jurbert); “We loved the reproducible VBS!!! It rocks! Thank you for your continued effort in reaching children for Jesus! Thank you for allowing our partnership to make a difference!” (Beth Gray); “It is my opinion that Gospel Light VBS resources are simply the best that are available. For this reason, we have used them exclusively at FPC during each one of my 10 years of professional ministry here” (Dan Walden); “We have used Gospel Light for many years, and it is the ONE we go to, knowing the gospel will be presented clearly” (Merrigold Long, Meadowbrook Church, Alberta, Canada); “This was our first VBS in around 13 years. I had never done a VBS and was worried that I would not be able to. With a lot of prayer and thanks to your easy-to-understand formats, it was a huge success. We all had a great time, and I’m sure we will be doing one again next year. The kids loved the music, and the skits were a big hit. It was easy to work with. Our VBS was a huge success, and we all had a great time. I will be looking forward to next year’s VBS!” (Patricia Foley); “Bible content, as always, excellent! Engaging ideas to capture kids’ attention” (Sarah Taylor). NEW FOR 2015: MEGA decorating pack; SonSpark puzzle cube; and SonSpark lab glasses. MAIN SCRIPTURES: God provides for Elijah (1 Kings 17); God speaks to Elijah (1 Kings 19); God heals Naaman (2 Kings 5); Jesus dies on a cross to take away our sins, then comes back to life (Luke 22:31–24:12); Jesus promises us an eternal home (John 14:1-3). THEME/CONTENT: Embark on an icy expedition that empowers kids to overcome obstacles with God’s awesome power. Anchor kids in rock-solid Bible truths that will guide them through life’s challenges. STARTER KIT CONTENTS: Everest Ultimate Director Go-To Guide; Base Camp Sing & Play and Summit Celebration Leader Manual; KidVid Cinema Leader Manual; Imagination Station Leader Manual; Bible Expeditions Leader Manual; Mountaintop Treats Leader Manual; Glacier Games Leader Manual; Spotlight VBS Leader Manual (No CD; software is now online); Preschool Director Manual includes information for the preschool director plus guides for Exploration Stations, Bible Adventures, Games, KidVid Cinema, Craft & Play; student materials sample pack; Imagination Station sample pack; and Operation Kid-to-Kid sample pack. ADDITIONAL RESOURCES: Updates and resources available online at group.com/vbstools. PREVIOUS USERS SAY: “The kids loved it ... such a fun, vibrant and easy-to-digest program that gets my kids actually excited about God and Jesus” (Kathleen K.). NEW FOR 2015: KidVid Cinema; new and improved preschool. MAIN SCRIPTURES: Only God could create the world (Genesis 1); Jesus is born to show God’s love (Luke 2:1-20); Jesus dies to forgive our sins (Luke 23); Jesus promises us an eternal home (John 14:1-3). THEME/CONTENT: The easy-to-do Group VBS experience that churches love—plus a fresh way to ignite kids’ faith. STARTER KIT CONTENTS: Thailand Trek Ultimate Director Go-To Guide; Celebration Leader Manual; Thai Treats Leader Manual; Thai Games Leader Manual; Experience Thailand Leader Manual; Bible Adventures Leader Manual; Preschool Passport to Thailand Director Manual; Experience Thailand sample pack; student materials sample pack; and Operation Kid-to-Kid sample pack. PREVIOUS USERS SAY: “This is a must-have program! The children were so intrigued by the kids in Thailand and how they lived out their faith. Fun and energizing, Group has outdone themselves once again!” (Sandra J.). NEW FOR 2015: CrossTrek Student Magazine—an interactive magazine that works with the free CrossTrek app and puts the sights and sounds of Thailand at kids’ fingertips. The Experience Thailand station helps kids see an exciting world of faith beyond their own backyard. MAIN SCRIPTURES: Mary is chosen to be Jesus’ mother (Luke 1:26-38); Jesus is born and gets His name (Luke 2:1-40); Jesus’ family escapes to Egypt (Matt. 2:13-14, and later returns to Nazareth (vv. 19-23); Jesus goes to the temple (Luke 2:41-52); Jesus does a miracle in Cana (John 2:1-12). THEME/CONTENT: Can you imagine the kinds of stories Mary could tell about Jesus? Take your kids back to Hometown Nazareth, where they’ll stand up for their faith among people who doubt that the carpenter’s son is really God’s Son. STARTER KIT CONTENTS: Hometown Nazareth Ultimate Director Go-To Guide; Celebration Leader Manual; Fun & Games Leader Manual; Hometown Huddle Leader Manual; Mary’s House Drama Leader Manual; Shopkeeper Manual; Daily Dramas Booklet; Marketplace sample pack; student materials sample pack. PREVIOUS USERS SAY: “Thank you for this high-quality program! We loved the Worship Music DVD, curriculum was great, and we had those amazing moments when you know children are listening to the Word and keeping the truth deep in their hearts!” (Karina L.). THEME/CONTENT: LifeWay’s VBS takes kids to uncharted territory where they will begin to understand that obedience to God can lead them beyond the expected. So, toss the map, stick close to your guide and prepare to listen for God’s direction in this journey that is unknown to us, but known by Him. This is the way. Walk in it. Day 1: Know Your Guide (Gal. 4:4-5; Matt. 4:23-25; 1 Cor. 15:3-5); Day 2: Follow Your Guide (Dan. 1); Day 3: Trust Your Guide (Dan. 3); Day 4: Stay on Track (Dan. 6); Keep Watching (Dan. 10:7-10, 12-13; John 14: 1-4; Rev. 22:7). STARTER KIT CONTENTS: Kids Starter Kit includes: one each of Grades 1–2 Bible Study Leader Guide; Grades 1–2 Bible Study Leader Pack; Grades 3–4 Bible Study Leader Guide; Grades 3–4 Bible Study Leader Pack; Preteen Bible Study Leader Guide; and Preteen Bible Study Leader Pack; three Kids’ Field Kits; one Missions Rotation Leader Guide; one Music Rotation Leader Guide; one Crafts Rotation Leader Guide; craft pack samples; one set of Snack Rotation recipe cards; one set of Recreation Rotation Leader cards; samples of VBS accessories. Preschool Starter Kit includes: one Babies–2s Leader Pack; one Keepsake Book 3s–Pre-K; one 3s–Pre-K Leader Guide; one 3s–Pre-K Leader Pack; one Kindergarten Leader Guide; one Kindergarten Leader Pack; two Preschool Field Kits; one 3s–Kindergarten Rotation Pack craft pack samples; and samples of VBS accessories. WHERE SOLD: Through LifeWay Christian Stores and direct to churches and consumers. ADDITIONAL RESOURCES: Takin’ It Home CD; worship rally resources; decorations; promotion resources; and Continuing the Connection resources. THEME/CONTENT: Create your own VBS! With Zip for Kids, you decide the theme. You decide the schedule. You decide the track options to offer. We make it easy by providing 10 sessions of Christ-centered biblical content woven through every element. The lessons are easy to customize so you can focus on your own creative touches. Session 1: I Am Created for a Reason (God’s Plan for Moses); Session 2: I Am In Need of a Savior (The Israelites Need a Savior); Session 3: I Am Loved By God (God Showed Love); Session 4: I Am Gifted with a Purpose (The Israelites Used Their Gifts); Session 5: I Am on Mission (Moses Spoke to the People); Session 6: I Am Created for a Reason (God’s Plan for John); Session 7: I Am In Need of a Savior (Matthew Needed a Savior); Session 8: I Am Loved By God (Jesus Showed Love); Session 9: I Am Gifted With a Purpose (Lydia Used Her Gifts); Session 10: I Am on Mission (Philip Spoke to the Ethiopian). STARTER KIT CONTENTS: Zip Essentials: basic administrative helps; tools to help churches customize their Bible study sessions for large and small groups; 10 Bible study sessions with sample schedules to jump-start your Zip; 10 Bible story videos; customizable digital files on CD allow churches to create their own leader guide for a customized event. Zip Tracks: Five track options for each category—soccer, basketball, outdoor games, messy games, indoor games, drama, percussion, musical performance, cheer sign language, kitchen concoctions, duct tape creations, art works, discovery lab, construction zone, live it and a create-your-own track template. Zip Media: CD with Zip music; DVD filled with content, including intro videos, Bible story videos, application videos, countdowns, bumpers and song lyrics synced to music. STARTER KIT PRICE: Zip Essentials: $175; Zip Tracks: $150; Zip Media: $50; Zip for Kids Preschool: $175. ADDITIONAL RESOURCES: Clip art and promotional material available for free on zipforkids.com. MAIN SCRIPTURES: Samuel (1 Sam. 3:1-21): God calls us to listen and respond; Esther (Esther 4:13-17): God calls us to work together for what is right; Mary (Luke 1:26-56): We are called to trust God’s plan; Disciples (Matt. 4:18-22; Luke 5:1-11): Jesus calls us to follow Him; Lydia (Acts 16:11-15, 40): God calls us to open our hearts to Jesus. THEME/CONTENT: God has a message for you! Can you hear it? Samuel heard it in the middle of the night. Mary heard it through an angel. The disciples were hard at work when they heard it. They all heard God’s special message just for them! Message Received: Hearing God’s Call lets children know that God continues to call all kinds of people—including them! People are called to love God and follow Jesus every day. Those who hear God’s message and respond are forever changed. Message Received is a Bible- and activity-based learning experience. Children in grades K-5 will see Bible stories come to life in the dramas during worship time and will reflect on them during three response times: Bible Response, Active Response and Creative Response. Children ages 4-5 may participate in worship with the older children or have their own worship time. They too will share in the Bible story and process it through crafts, games and other activities designed for their age and developmental levels. STARTER KIT CONTENTS: The box kit includes two of each: Director’s Guide, Worship and Drama Guide, Active Response Guide, Bible Response Guide, Creative Response Guide, Early Childhood Leader Guide and an invitation poster. The box kit includes one of each: music CD, Bible memory DVD, Bible memory poster, songbook, invitation postcard, student participation certificate, My Book of Stories (early childhood student piece) and Message Decoder (K-5 student piece). WHERE SOLD: Through Cokesbury and Ingram Content Group and direct from mennomedia.org. ADDITIONAL RESOURCES: Additional Bible memory DVDs are available for $8.99 each, and additional songbooks are available for $6.99 each. MAIN SCRIPTURES: “But in your hearts revere Christ as Lord. Always be prepared to give an answer to everyone who asks you to give the reason for the hope that you have. But do this with gentleness and respect” (1 Pet. 3:15, NIV). THEME/CONTENT: An easy, effective way to reach kids in your community, MEGA Sports Camp outreach programs find they have more than 50% guests, many who do not regularly attend church. Elementary kids sign up to practice sports skills and then learn how to “Get Ready” to be a better athlete through Bible-based character traits. STARTER KIT CONTENTS: Director Guide; poster pack; Director DVD and CD; Art CD; Rally Guide (large group/worship time); Music & Media DVD and CD; Coach Huddle Guide (small group time); sports playbooks for cheerleading, basketball and soccer (flag football and baseball optional add-ons); Sports Flash (kids’ take-home); Theme Keepers for kids; salvation/discipleship piece; T-shirt; sports bottle; and magnetic photo frame. ADDITIONAL RESOURCES: Apparel; iron-ons; nametags; Cheer Training DVD and CD; Cheer Music CD; and accessories. PREVIOUS USERS SAY: “Our annual MEGA Sports Camp turned out to be an amazing event and community outreach. We had over 100 participants who braved the heat while cheerleading, playing basketball and soccer. But I’m beyond thrilled at the 30 first-time salvations and 27 rededications! Wow! Some amazing kingdom work was done this week. That’s what it’s all about.” (Lifepoint Church, Savannah, Texas). NEW FOR 2015: “Get Ready” theme. MAIN SCRIPTURES: Day 1: Genesis 1:31a; Day 2: 1 John 1:9; Day 3: John 14:23a; Day 4: Romans 5:8; and Day 5: Proverbs 3:5-6. THEME/CONTENT: The Wacky World of Water is a fun, simple and fresh look at VBS. Kids will learn from water stories throughout Scripture, including creation, the flood, Jesus’ walking on water and calming the storm. It includes crafts, games and snack ideas; Bible memory verses; calendars; and training materials—everything necessary to get started. STARTER KIT CONTENTS: Complete curriculum: music CD with performance-track and instrumental-only options; resource CD with promotional materials, including art that can be printed locally for poster, lawn sign, postcards, door hanger, bulletin insert, logos, parent letter and outdoor banner; and promotional video. Director’s resources include job descriptions; sheet music; small-group lists; registration forms; age-characteristic charts; kids’ take-home papers; promotional and director calendars; volunteer sign-up; and supply request forms. ADDITIONAL RESOURCES: The following are included on the resource CD, but can be ordered from Pioneer Clubs if churches do not wish to print them locally: outdoor banner, lawn sign, postcards, poster, bulletin inserts. Also available is a 10-pack of music CDs. 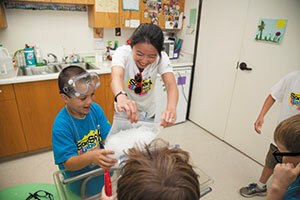 PREVIOUS USERS SAY: “[The Wacky World of Water was] the most fantastic VBS we’ve ever done. Everyone had such a blast!” (Mitzi from New Iberia, Louisiana). This group drew 80 kids and saw 14 make decisions for Christ. MAIN SCRIPTURE: “Great is the LORD, and greatly to be praised; and his greatness is unsearchable” (Ps. 145:3, KJV). THEME/CONTENT: With To The Edge, students will encounter the God of the universe, seeing God’s great power as they travel beyond our solar system and explore deep space. They will learn about God’s love, holiness, forgiveness and plan of salvation, which reveal through Jesus’ life and teaching what God, the creator of all, is like. RBP is the only VBS publisher recommended by the world’s largest evangelistic outreach ministry to children—Children’s Evangelism Fellowship. Find out why at rbpvbs.org/cefrecommends. Day 1: God’s Care (Jesus Cares and Heals, Mark 1:40-2:13); Day 2: God’s Omniscience (Woman at the Well, John 4:3-42); Day 3: God’s Forgiveness (Woman Anoints Jesus’ Feet, Luke 7:36-50); Day 4: God’s Enabling (Peter Walks on Water, Matt. 14:22-33); Day 5: God’s Love (Jesus Washes Feet, John 13:1-17). STARTER KIT CONTENTS: Director’s Materials: Director’s Guide; Director’s resource CD set (resource CD and decorating CD); thank-you card. Classroom Materials: Teacher Books (2s & 3s-Youth); Student Activity Sheets (2s & 3s-Junior); Youth Student Book; Adult Bible Study—Your Greatest Adventure. Promotions: theme poster; jumbo theme poster; invitation flyer; doorknob hanger; postcard; bulletin cover. Attendance: attendance chart; nametag; registration card; To the Edge pass. Music: To the Edge music CD. Crafts: craft ideas book; Rocket photo frame; Astro the Monkey craft. Evangelism: salvation poster; gospel bookmark; five salvation tracts; Welcome to the Family! family fun sheet; Operation Kids poster. Gifts & Awards: To the Edge backpack; To the Edge pouch; sticker sheet; logo balloon; theme button; theme sticker; iron-on transfer; sticky notepad; Galaxy windup robot, Pop Rocks Xtreme; Out-of-This-World pencil; Space Light glow stick; inflatable astronaut; space take-home bag; catalog; promotional DVD. STARTER KIT PRICE: $89.99; net 120 and up to 40% off on package deal if ordered by Dec. 31.
additional resources: Crafts, evangelistic resources; decorations; promotions; gifts; awards; snacks; attendance; puppet resources; teaching resources. Operation Kids: Reaching Boys & Girls through VBS is the 2015 VBS Mission Offering project. NEW FOR 2015: To the Edge verse posters—set of three that celebrate God’s greatness (Gen. 1:1, Ps. 19:1, Ps. 145:3). Puppet scripts and CD (previously had music backgrounds with dialogue, but now, RBP offers two versions of the same puppet script CD—one with music background and one with dialogue only). More snacks, including astronaut ice cream. MAIN SCRIPTURES: Day 1: God’s Love is Incredible (Ex. 3); Day 2: God’s Love is Faithful (Josh. 2); Day 3: God’s Love is Invincible (1 Sam. 17); Day 4: God’s Love is Unconditional (John 3:16; Luke 7); Day 5: God’s Love is Real (Acts 12). THEME/CONTENT: At Bible Blast to the Past, kids will take a time-travel journey to experience stories of the incredible, faithful, invincible, unconditional and real love of Jesus. Through fun activities, kid-friendly service projects, original and reproducible worship music, trustworthy Bible teaching and special-needs-friendly options, kids’ lives will be changed, and they will be inspired to courageously change lives around them. STARTER KIT CONTENTS: Director’s Guide; Opening & Closing Leader’s Guide; Leader’s Cards and Leader’s Guides (preschool-teen); and reproducible worship music by Yancy. ADDITIONAL RESOURCES: Web tools: My VBS; planning calendar; free downloads; Floppets Bible Pals; promotional ideas; decorating items; as well as Facebook and Pinterest. PREVIOUS USERS SAY: “We are a small church but had 45 kids in VBS. Thank you for the work you do. Our children loved the stories and were so touched.” (Bethlehem East Baptist Church, Hanceville, Alabama); “Thank you for the beautiful and honest videos you made available through the Jungle Safari VBS curriculum. I believe many seeds were planted in hearts of children this summer.” (Wesley United Methodist Church, Grand Forks, North Dakota); Seeing how the kids connected with the music, those songs and their message will be with them for a long time.” (Experience Community Church, Murfreesboro, Tennessee); Seeing the children singing, worshipping and learning about the nature of God. The workers enjoyed it just as much. Yancy’s music is the best!” (Black Oak Heights Baptist Church, Knoxville, Tennessee); Everyone had a blast. Music stuck in the kids’ and adults’ heads; they were singing it even when they were not in Toucan Jam.” (Brenda Ricke). NEW FOR 2015: New mission videos and reproducible worship music by Yancy; crafts and science site. MAIN SCRIPTURES: “Put on the whole armour of God, that ye may be able to stand against the wiles of the devil” (Eph. 6:11, KJV). THEME/CONTENT: Charged with the theme EPH611 (Eph. 6:11, KJV), VBS participants get ready to join the team of protection, praise, boldness, work ethic and caretaker in the most memorable adventure yet! STARTER KIT CONTENTS: Teacher Guides; Student Folders; posters; bags; accessories; games; crafts; and more. PREVIOUS USERS SAY: “The youth loved this year’s Vacation Bible School theme . I loved all the stories and the music.” (Leteshia Drisdom Hemmans, Rock Tabernacle Church of God in Christ, Inglewood, California). NEW FOR 2015: Online resources and new apparel. B&H Publishing Group is expanding its international focus with the launch of B&H Global. Announced in the fall, the expansion comes after the company was named Publisher of the Year at the Spanish Evangelical Publishers Association (SEPA) Awards during Expolit earlier in the year. B&H President Selma Wilson has appointed Craig Featherstone to lead a new, dedicated division to better reach the world with biblical resources. Featherstone brings more than 20 years of experience and leadership in Christian publishing. As senior vice president of sales, Featherstone has led B&H to expand to 27 market channels, 70 countries, licenses in multiple languages and rapid growth in digital content. Wilson sees this move as a significant call. LifeWay President Thom Rainer said he is grateful for LifeWay’s international focus.